We are concerned then, not just with a child's intellectual training, but also, and primarily, with his character development. We train our students to choose Christ like attitudes, while at the same time striving to present a Christ-centered curriculum of the highest academic quality. Bob Jones Press, Association of Christian Schools International and Saxon Math. Transportation is provided by the Detroit Lakes public school busses. 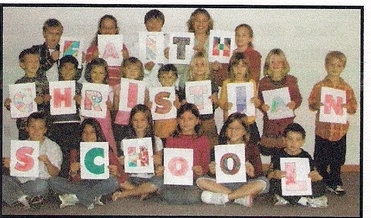 Faith Christian School follows the Public School Year calendar.